The Quaker is a uniquely designed building, patterned after an old-fashioned Pennsylvania Dutch style. 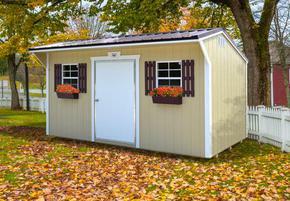 The attractive overhang helps protect the door from the elements. Two 24"x27" windows come standard with the Quaker. Two sets of shutters and flower boxes are now standard features and are added to this building to give a more "dressed up" look. 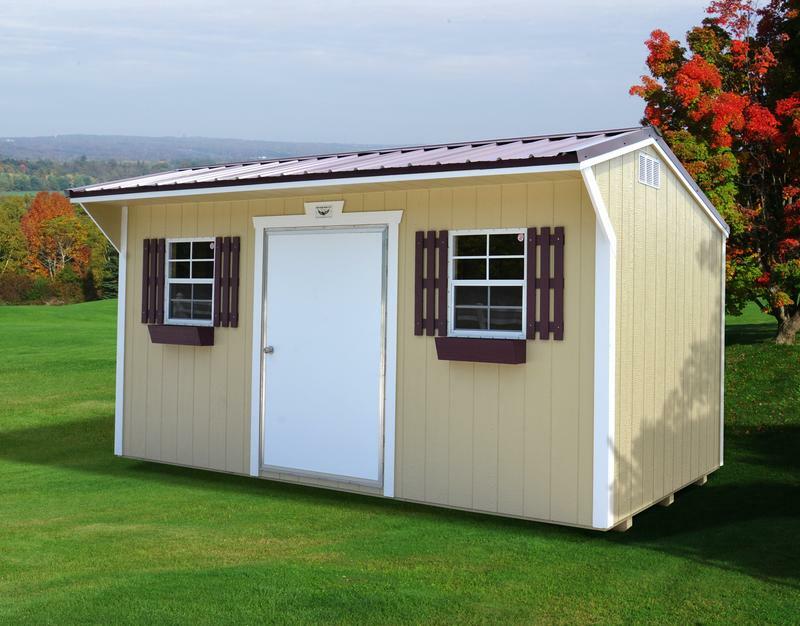 Great for garden sheds, workshops, antique collections, garage sale booths, guest houses; even a child's playhouse! 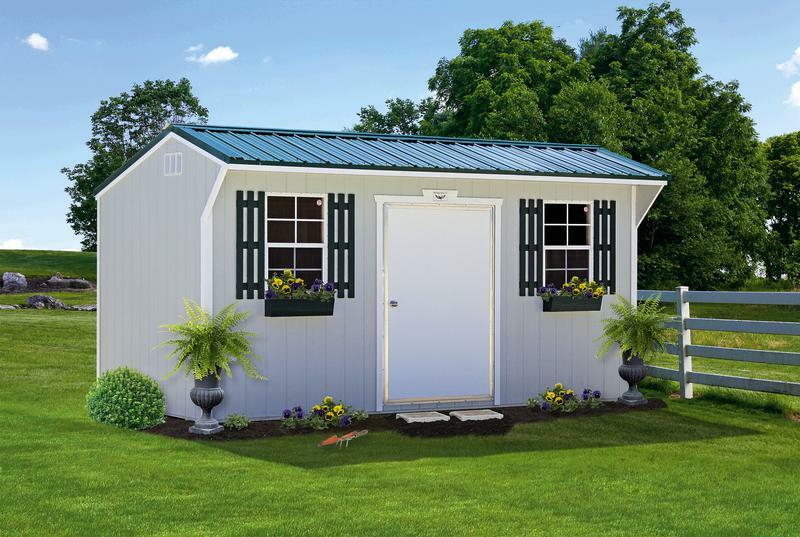 Imagine all the fun your grandchildren will have going to Grandma's house with this attractive Quaker in your back yard!! - Wall Height: Front 7'3" - Back 6'4"